Explained: What is Monero (Cryptocurrency)? And How Does it Work? Privacy is becoming an increasingly important and modern issue. Back in 1890, Justice Louis Brandeis was the first to articulate “the legal right to be let alone” in his article The Right to Privacy, published in the Harvard Law Review. In his seminal work, Brandeis concluded that the right to be left alone was inherent in the notion of pursuing happiness. Without the possibility of a retreat from the world, he argued, the intensity and complexity of life would be too much to bear. Brandheis’ beliefs spread throughout much of the Western world, and were firmly established by the end of the 20th century. Then, the terrorist attacks of September 11th 2001 caused a paradigm shift. As Edward Snowden’s leaked NSA documents revealed, the individual’s’ right to privacy had been rapidly replaced with a global government surveillance program. For many, this level of surveillance represents a meaningful violation of personal freedoms and Justice Louis Brandeis’ words have become more important than ever, 120 years after they were first put to paper. Needless to say, the strong libertarian influences within the cryptocurrency community have rightly identified “the right to be let alone” as a cornerstone of their agenda. It seems clear that cryptocurrencies have boomed, in part, due to our rekindled desire for privacy within the wider community in the wake of these revelations. Bitcoin for example, was created in order to provide trustless and pseudonymous electronic cash for everyone. Although Bitcoin offers a certain level of anonymity, it is also based on an unparalleled level of transparency. All transactions on the Bitcoin blockchain are visible to the public. Should it become known which Bitcoin wallet address is yours, third parties could easily ascertain your personal level of wealth. Monero, on the other hand, provides a truly anonymous digital cash which is untraceable. With the lamentable state of privacy in the Western world today, Monero is the best way we have to move, store and receive funds in private. Monero was launched in April 2014, and is based on the CryptoNote protocol devised by pseudonymous author Nicolas van Saberhagen. At its core, Monero is an open-source cryptocurrency which focuses on privacy and decentralization. Like most cryptocurrencies, Monero uses a public ledger to record transactions while new units are created through mining. So far, just over 15.7 million XMR have been mined, with a total market cap in excess of $3.8 billion dollars. 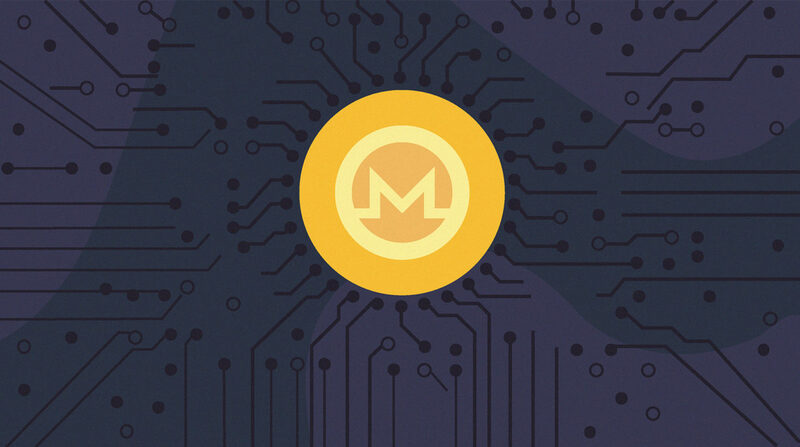 This ranks Monero 13th among all cryptocurrencies in terms of market capitalization and interest in the cryptocurrency has subsequently ballooned. Interestingly, the supply of Monero is limited to ~18.4 million XMR, at which point the supply will drop to 0.3 XMR per minute. This is expected to occur on May 31, 2022. Monero is a secure, private and untraceable cryptocurrency. It achieves this through a number of innovative features, like stealth addresses and Ring signatures. As a user, you’ll first need a Monero wallet address. This is a 95 character string and comprises two sets of private and public cryptographic keys. In order to understand what role these keys play, let’s go through a typical Monero transaction. When Alice sends outputs (ie. funds) to Bob for example, Alice will use Bob’s public view key and public spend key, as well as some random data to generate a unique, one-time public key. This key is visible on the Monero blockchain, but only Alice and Bob know who was involved in the transaction and how much XMR was sent. Now Bob’s wallet scans the blockchain with his private view key, until the right output is found. Once the right output is found, Bob’s wallet can calculate a one-time private key which corresponds with the one-time public key generated earlier. Bob can now spend the outputs using his private spend key. With a typical Monero transaction under our belt, let’s take a closer look at the set of private keys included in each wallet. First, we have the private spend key which is a 256-bit integer and is used to sign Monero transactions. It also is one of only two private keys usually associated with a Monero wallet, the second being the private view key. The private view key gives you the permission to view the contents of a Monero wallet address. This is why the Monero blockchain is considered private, because balances are not visible without the private view key. With these two bases covered, we should now turn our attention to receiving funds using stealth addresses. Stealth addresses are a crucial part of Monero’s strong focus on privacy. In a nutshell, a stealth address is a unique, one-time address which is created by the sender on behalf of the recipient for every transaction. In every transaction a stealth address (also known as a one-time public key) is automatically generated and recorded as part of a transaction. This indicates who has permission to spend an output in a future transaction. An outside observer cannot tell who is involved in the transaction, or what the transaction amount is by just looking at the blockchain. This is a huge advantage for merchants for example, because outside parties cannot tell how many customers a merchant might have, or what the merchants revenue may be. There is no publicly available data at all, in part due to Ring signatures. Ring signatures ensure that transaction outputs are untraceable. They achieve this by mixing the spender’s output with past outputs pulled from the blockchain. So if Alice initiates a transaction, her output is given a one-time spend key which corresponds with an output being sent from the Alice’s wallet. At this point, Alice’s output is mixed with random past outputs pulled from the Monero blockchain, which act as decoys. To a third party, these outputs are indistinguishable from each other, and Alice can send XMR to Bob without fear of the transaction being tracked. Additionally, the Monero Labs Core Team introduced Ring Confidential Transactions (Ring CT) in January 2017. This technology was invented by Bitcoin Core developer Gregory Maxwell, and manages to hide transaction amounts from third parties. At this point, you might be wondering how Monero avoids the double-spend problem while effectively having untraceable transactions between anonymous parties. The double-spend problem is solved through the innovative use of ‘key images’ associated with each ring signature. These ensure that although transactions remain private, it can be easily detected if the sender attempts to anonymously send their funds twice. Now we know how Monero hides the sender and recipient accounts, while also obfuscating the transaction amount. But how does Monero prevent third parties from tracking transactions across nodes? The answer is Kovri. Kovri is the final piece of Monero’s privacy puzzle. More precisely, Kovri is a software that allows transactions to be sent more privately than ever before. This is achieved by hiding IP addresses. Kovri tunnels traffic through the I2P network, utilizing Garlic encryption and Garlic Routing. This allows information to travel within a private overlay network, and is additionally encrypted each time it is passed on. Peers are not able to read the information which is being relayed. This creates an anonymous network of Monero users protected from censorship and surveillance. Looking at the innovative features discussed above, it’s not hard to see why Monero has established itself as the leading privacy-focused cryptocurrency around today. Kovri, Stealth Addresses, Ring Signatures, and Ring CT protect the individual’s privacy, while receiving, storing, or spending XMR. Not only does Monero provide us with financial sovereignty therefore, but it also allows a level of privacy in tune with the vision Justice Brandheis first articulated all those years ago.